As you may have noticed we have been reviewing Degustabox recently. 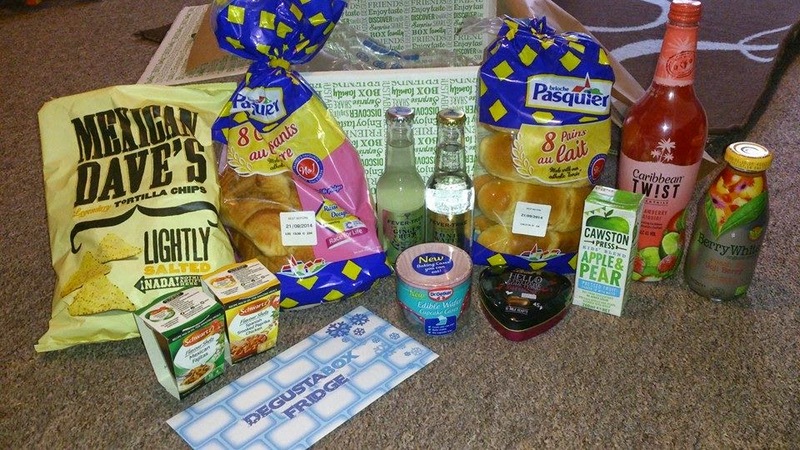 Degustabox is a monthly subscription food and drink box that is delivered at the end of each month and brings you a variety of different food and drink items to try from brand you may or may not have tried before. Here is what was inside our August Degustabox! Hubby is a huge crisp and dip fan so he nabbed these from the box straight away! 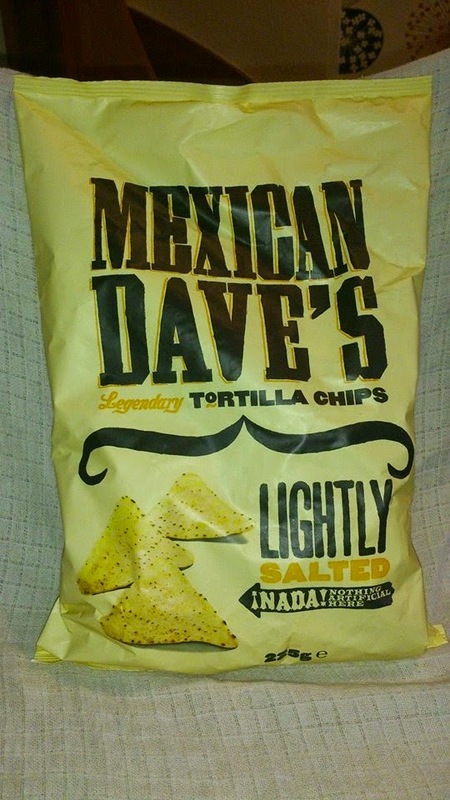 Mexican daves are tortilla chips that are packed full of flavour but contain nothing artificial and are cooked in sunflower oil. They had lots of flavour and a good crunch too them! RRP £1.00 per bag. 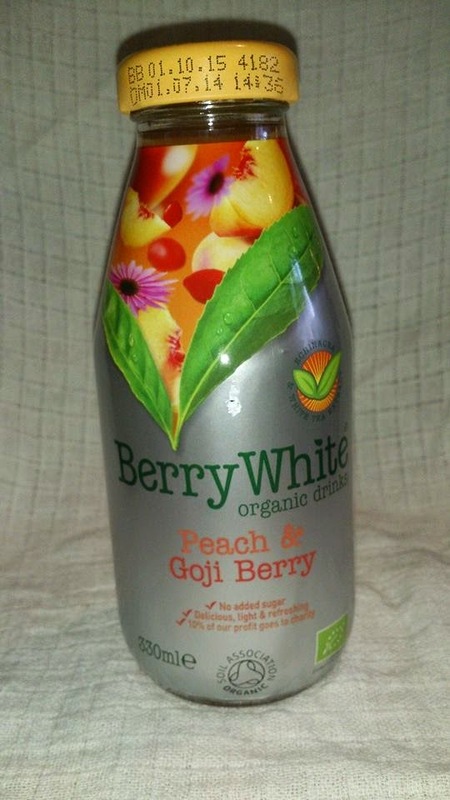 Berry White drinks are a range of drinks that are made from premium, organic ingredients with no added sugar or artificial preservatives Our box contained the Peach and Goji berry flavour which had a subtle flavour but was very refreshing! The drinks come in 4 flavours Pomegranate and blueberry, Peach and Goji berry, Cranberry and Guava and Lemon and ginger. RRP £1.59 per drink. 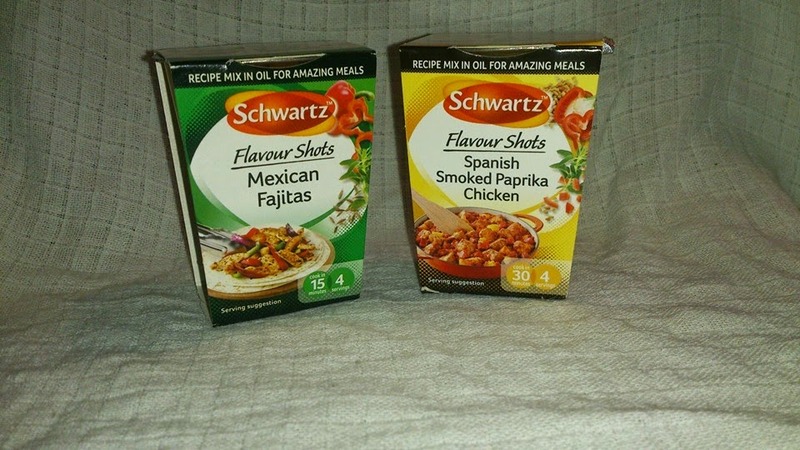 These little pots of flavour from schwartz each contain a unique blend of herbs, spices and seasonings infused in sunflower oil and are added to meat or veg to create a tasty meal! We were sent the Spanish smoked paprika chicken and Mexican fajitas flavour shots and they were delicious!! They were so easy to use and created delicious meals that the whole family enjoyed. They were not overly spicy just really tasty too! RRP £1.39 each. This month again Degustabox gave the option for your box to either contain alcohol or an alcohol free alternative. If you opted in for alcohol this was what was in your box! As a big cocktail fan I was looking forward to trying this. 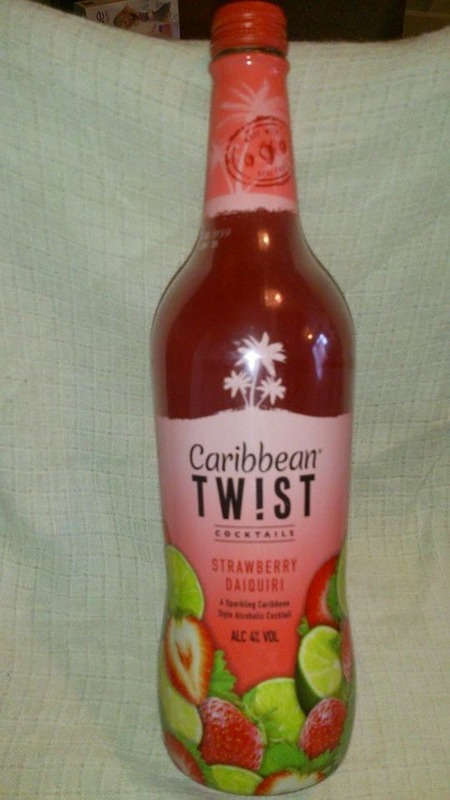 The Caribbean twist strawberry daiquiri contains 7.5% fruit juice and you could really taste the strawberry in it. The taste wasn't over powering and with an RRP of only £2.50 is a great cheap alternative to cocktails at home! Of course I am always happy to see chocolate in my box (who isn't!?!) 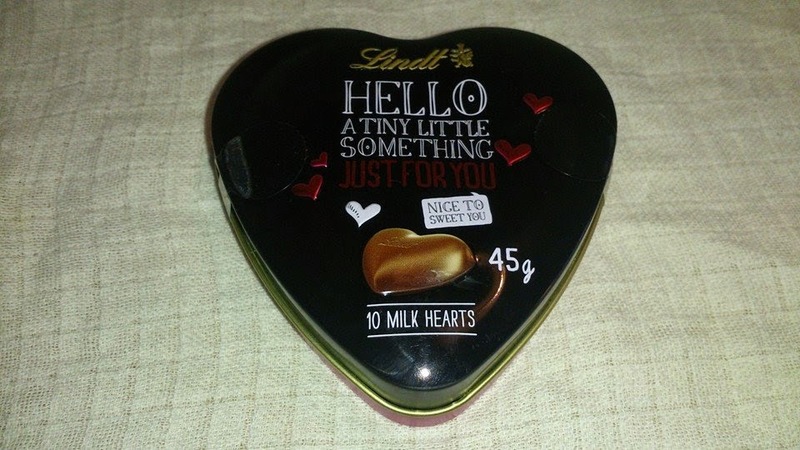 and this super cute tin of Lindt HELLO Just for you heart chocolate tin looked fab! Inside are 10 individually wrapped lindt chocolate hearts. The chocolate literally melted in your mouth!! These would make a really cute gift for perhaps a teacher at the end of term or a loved one! RRP £3.49 per tin. 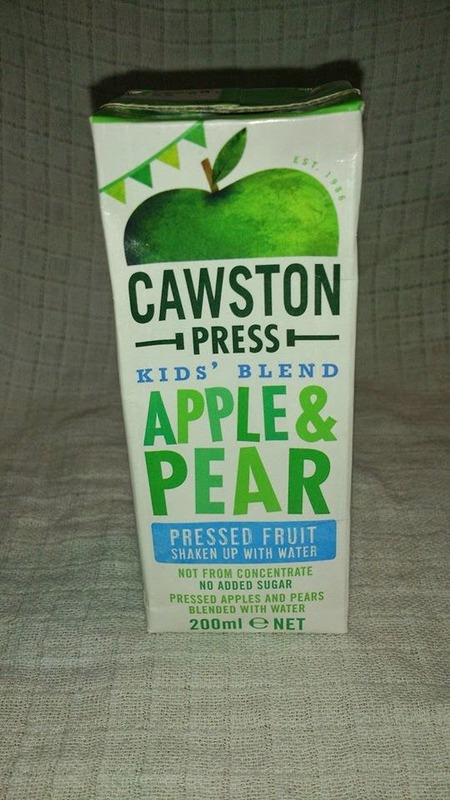 We are big fans of Cawston Press here, We have previously tried their fizzy cans of drink and we love the flavours so we were excited to see that in our box was the Apple and Pear flavour carton. These are specially blended for tiny taste buds and are made by taking their pressed juice and shaking it with 40% water resulting in a lighter juice drink. You can really taste the apple in this drink and they were a hit with James and I was happy knowing he was drinking something that was make with no added sugar! RRP £1.89 per pack of 3. James loved baking so we have really enjoyed having Dr Oetker products in each of our Degustaboxes. I have to admit I have never seen edible cake cases before so I was excited to try these! James was a little stumped at first that you could "actually eat the case!" But thought it was great afterwards and it meant no fiddly moments trying to get the cake out of the case! RRP £2.50 per pack. 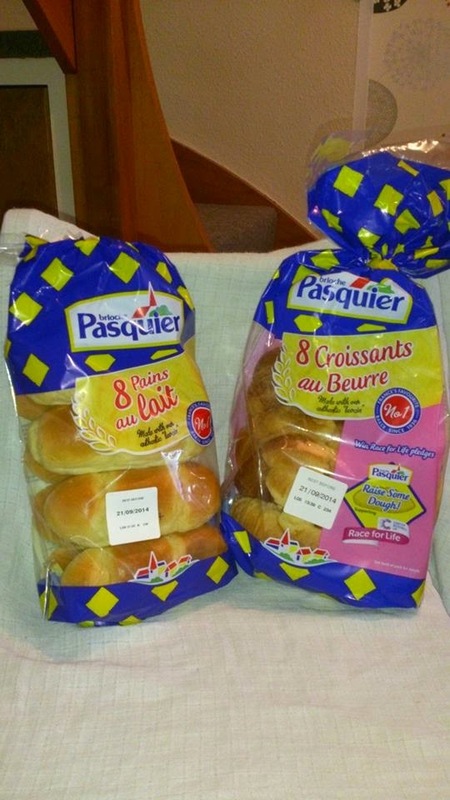 In our box this month were 2 products from Brioche Pasquier these were Pains au lait and Croissants au beurre. We have had fresh versions of these which taste delicious but I wasnt sure how pre packaged ones would taste. However they were delcious! They were so soft and buttery and went down a treat with the whole family for a fancy breakfast on the weekend. RRP £1.69-£1.79 per pack of 8. 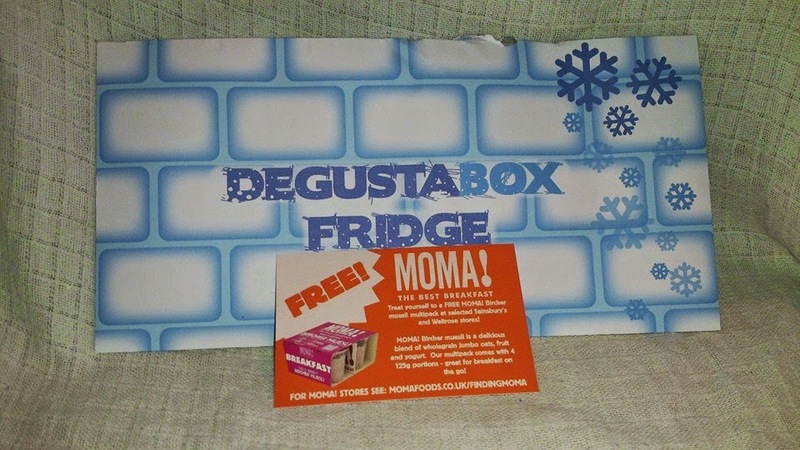 New in the box this month was "Degustabox Fridge" Each month the box will contain a full priced voucher so that you can hand this in at a store listed on the coupon and receive your free item. This month it was for MOMA Bircher Muesli RRP £2.99. The coupon this month had to be redeemed at waitrose or sainsburys but I havn't visited either store yet but when I do I will be sure to redeem my coupon and let you know how they are! Fancy trying Degustabox for yourself? Degustabox is priced at just £12.99 per month and you can unsubscribe at any time. As you can see the value of the items inside far out ways the price of the box! You can also enter code OKWKA at the checkout to receive £3 off your first box! I love the sound of the edible wrappers! My boys would love those. What a fabulous box! I want those chocolates too! I love the idea of the edible cake cases. I'll have to look out for them. You got a nice collection in your box. I am sure you will enjoy it all. I keep meaning to sign up to this, it looks fantastic! Like the sound of the edible cake cases, will have to check them out some time! I think that having a treat box can be something to look forward to. I probably wouldn't use it though as everyone would just want one thing - the joys of having a teen & a four year old!! 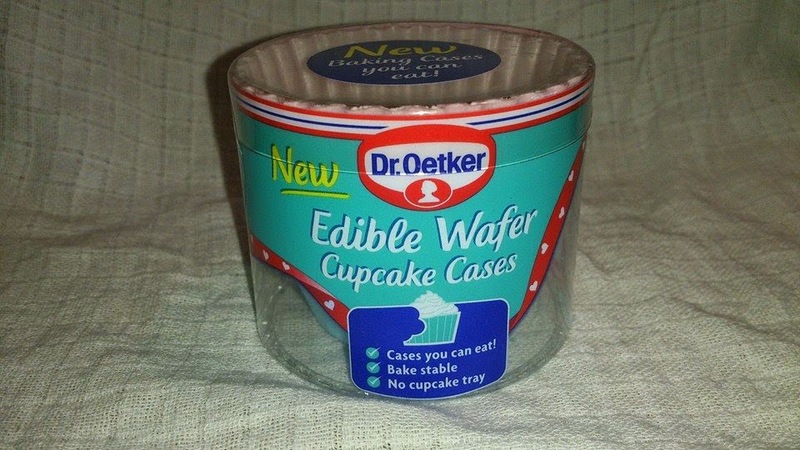 I like the cupcake cases! 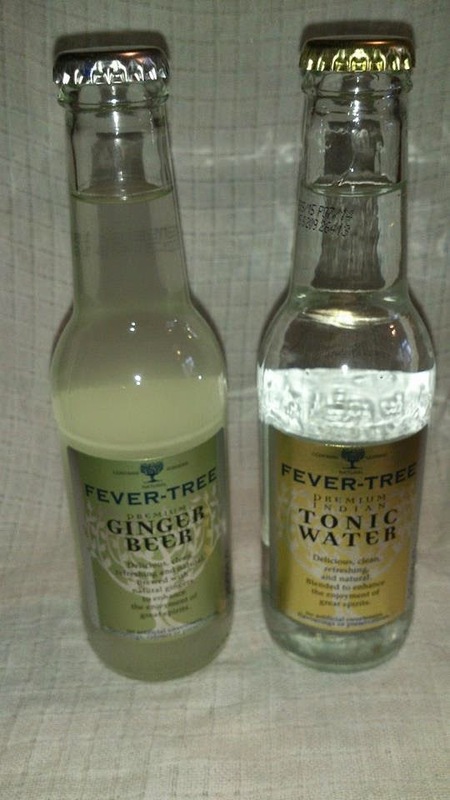 Couldn't do the tonic water but everything else ounds good - and am now keen to try the edible cake cases! Lots of great items - they always seem to do a brilliant mix and definitely things I'd like to try. Love the edible cases, i didn't know they did those!